Young is unapologetically herself, and is arrestingly honest. She’s the kind of person you trust immediately. She hands me a beer from the mini-fridge beside her desk, and we cheers to the second anniversary of box + flow and to my own personal growth, in a disclosure I will share with her but not with the internet. She’s building a lifestyle brand, starting with box + flow, her Liv Young website, and herself. 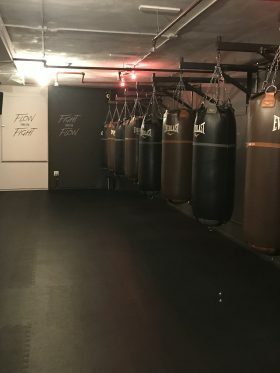 She talks quickly and excitedly about her future plans, accentuating the last syllables of every sentence as though she is kicking a punching bag. BelieF. KicK. PunCH. DreaM. Instead of staying out late and drinking at festivals, she says, she was waking up at 5am to run, box and do yoga. 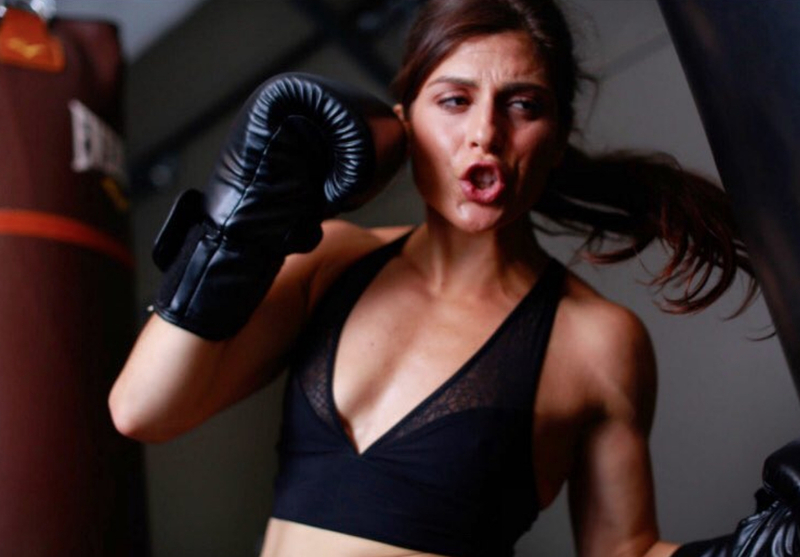 She found herself on a path of self-understanding and, and at 29, created box + flow. 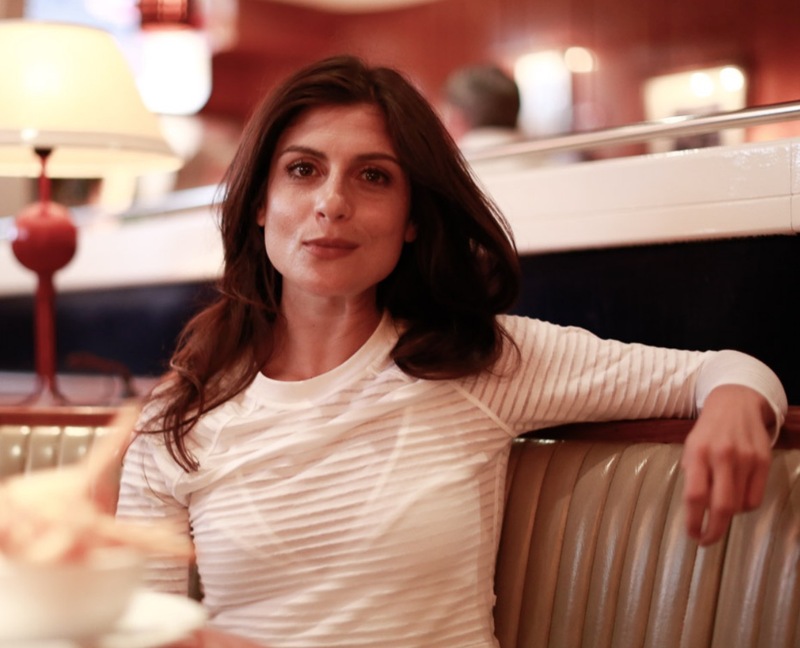 The space at 55 Bond Street attracted people like her: young creative professionals. 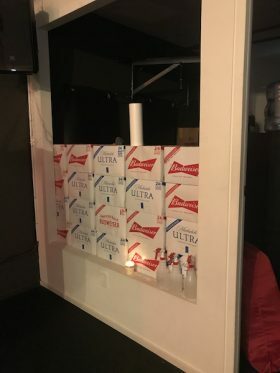 It’s easy to see why; her office has beautiful wallpaper (purchased at CB3, a fact Young is very proud of), Instagram-worthy quotes on the walls, and a wall made from cases of beer. “Budweiser sends us a lot of beer,” Young says by way of explanation, her high heels tapping by the boxes and punching bags. The studio has done so well in the last two years that Young has decided to remodel, accommodating showers and an open-concept bar/front desk in the second-floor space, where she hopes that, in the future, she will sell her own brand of lifestyle products, including apparel and food items. 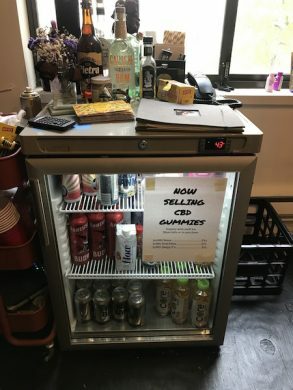 Recently, she started selling CBD gummies out of her office. 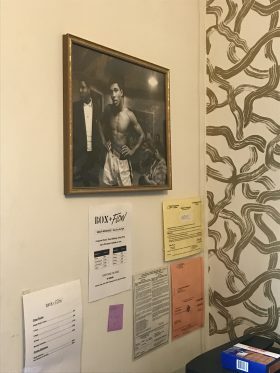 Since she took the space over, it’s become a materialization of Young herself: flower arrangements and trendy furniture align with Young’s stylish outfit and perfectly coiffed hair, while a photo of Muhammad Ali on the wall and boxing gloves on the opposing shelf align with the image of Young beating up a punching bag. The whole space is echoey, forcing you to listen back to the words you just said–whether you want to or not. Her alter-ego, Liv Young– a clever play on words that encompasses the meaning of her lifestyle brand– is omni-present in the studio and in her life. She can still appreciate a good bunless burger and a six-pack of good beer, but is more than willing to show off her six-pack abs and her post-workout sweat. “Work hard to live young,” she says, regarding a burger or a cold beer as a treat for working out and being introspective.